– Use the SEARCH-BAR above to find specific Postings/Topics. – Use the INDEXES at the right to find Postings in specific Categories or Months/Years. 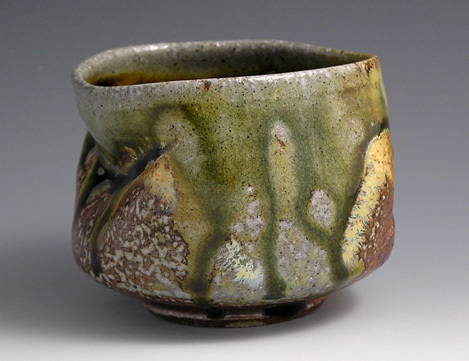 As a Ceramic Artist in Minnesota, I create work for three different firing methods — Soda fire, wood fire, and reduction firing. Basically, I create functional pottery with ‘Japanese inspiration’ for everyday use and enjoyment. And because I love food, and preparing food, and sharing food — I’m combining both interests. There is such a connection between good food and the plate or bowl or platter that serves as presentation. I’ve created this Web Site and Blog to share not only my own pottery, but pottery by other potters, pottery from my collection, pottery that I love and enjoy using – With food, with flowers, with soup, with grilled salmon, or with simple tasty snacks. I so enjoy sharing and showing pottery in use. I consider this a most delicious endeavor — Enjoy. Enter your email address to receive notifications of new MaashaClay posts by email.